Traffic tickets can result in license suspension, high fines, and even jail sentences. Spigle, Massey & Clay, P.L.C, has lawyers with experience in reckless driving matters who can defend you and protect your rights in court. Call Spigle, Massey & Clay, PLC at (800)-218-5409 or contact us online to schedule your consultation with one of our attorneys. According to the Virginia demerit point system, violations classified as reckless driving incur six demerit points*. Other charges such as speeding 10-19 mph over the speed limit incur four demerit points. The lowest level moving violations, such as speeding 1-9 mph over the speed limit or improper driving, result in three demerit points. In addition to the above, a reckless driving conviction can cause the loss of jobs requiring a CDL or good driving record, loss of a security clearance, and disqualification from jobs involving law enforcement or public agencies. 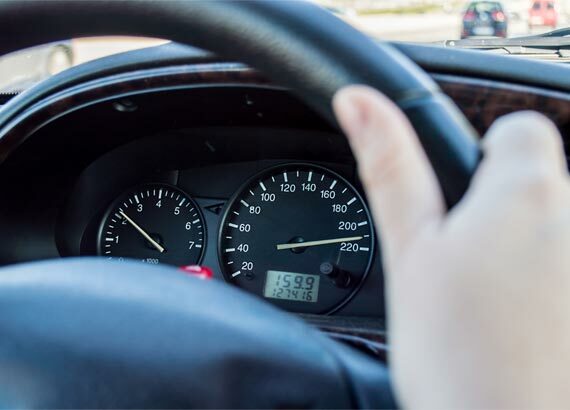 A reckless driving conviction can also drastically affect your insurance rates. Contact Spigle, Massey & Clay, PLC, today at (800)-218-5409 to review your reckless driving matter.